It's November! And I'm linking up with Farley's Currently this month. Listening: My husband is obsessed with the TV Castle right now. I think it's pretty good too...but I can't watch it non-stop so I often multitask like I'm doing now. Thinking: I am trying to figure out Thanksgiving decorations for my house. Should I buy them? make them? What to do? Wanting: A new computer - my current laptop works okay, but sometimes overheats and turns off. Plus it can't do much at the same time, and I would love to use my computer for photo editing and BoardMaker. 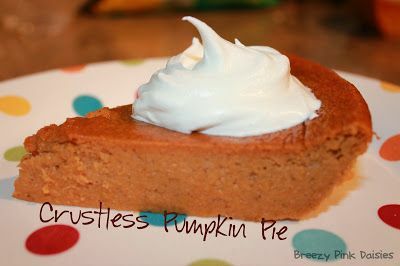 A Yummy Pin: Crustless Pumpkin Pie!! I love it! We like Castle too! And, Mrs. Gobbles sounds like a lot of fun!! We watch Castle at our house also. I've even been known to indulge in a marathon.